Homeostasis of many organs largely depends on the activities of tissue-specific stem cells. 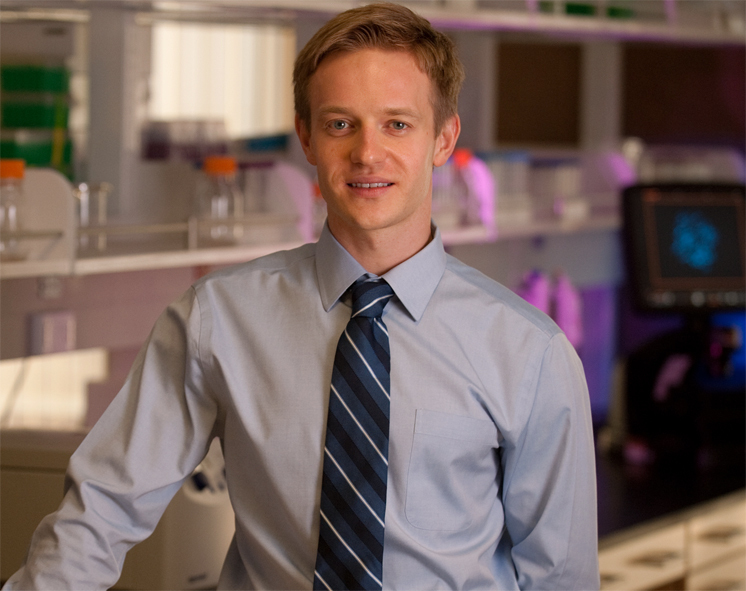 In the past, a lot of research has been focused on understanding how individual stem cells respond to signals from their micro-environment and decide between remaining quiescent and becoming activated. However, it was unclear if and how thousands of stem cells can coordinate their activities with one another. 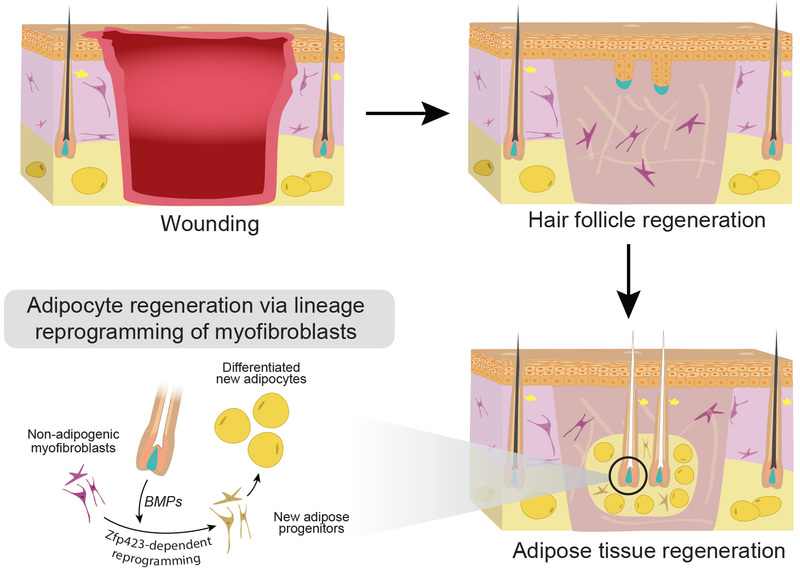 Recently, we were able to study collective behavior of adult stem cells using the model of hair regeneration. Each hair has a prominent cluster of stem cells. Since there are thousands of hairs on the surface of the skin and skin is flat, together all hair stem cells form a two-dimensional network of clusters. Within this network each stem cell cluster “listens” to competing activating and inhibitory signals and decides between remaining quiescent and becoming activated based on the combined signaling message that it receives. 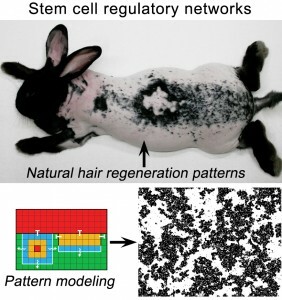 Because the decision making rules are similar for every stem cell cluster, scaling of this behavior across the entire network results in striking patterns of hair regeneration. A) In addition to WNT and BMP, what other key signaling pathways are co-opted to regulate large-scale regeneration of hair stem cells? We are using the predictive computational modeling coupled with in vivo validation experiments to identify new players in the hair stem cell signaling network. B) Does large-scale coordination exist among stem cells in tissues other than skin? We are looking to identify the analogous two- and three-dimensional stem cell networks in other organs. C) Can stem cell coordination be modulated to design more physiologically-relevant stem cell-based therapies? A) What mechanism allows lineage-restricted adult cells to expand their developmental plasticity in response to wounding? B) How can embryonic-like regeneration be enhanced to achieve scarless healing of adult tissues? Related press coverage in Popular Mechanics, Scientific American, Business Insider, The Times, The Guardian, Daily Mail, Yahoo! Beauty, OC Register, Skin Inc.